Justice Sanjeev Sachdeva asked the CBI to state why an LOC has been issued against Satish Babu Sana when he is not an accused in the matter. 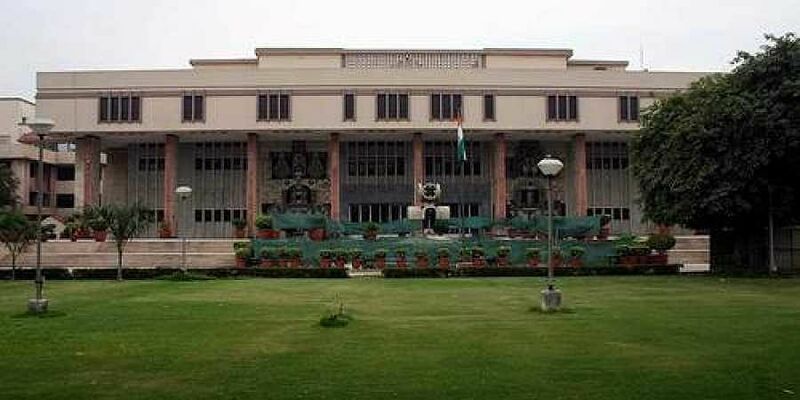 NEW DELHI: The Delhi High Court on Friday sought the CBI's stand on a businessman's plea seeking quashing of a lookout circular (LOC) against him in connection with a corruption case against meat exporter Moin Akhtar Qureshi and the agency's exdirector A P Singh on the grounds that he has not been named in the FIR. "At least he (Sana) should know whether he is an accused. Then he can take his remedies," the court said while issuing notice to the agency and seeking its reply by February 25. Sana, represented by senior advocate Salman Khurshid, has contended that despite appearing before the CBI each time he was summoned for questioning in the case, an LOC has been issued against him preventing him from leaving the country. Khurshid, during the hearing, said that his client was not named in the FIR, yet an LOC was issued against him. Sana has said in his plea that he came to know about the bar on his foreign travel on September 25 last year when he was going to France with his son for his university admission there. In his petition, Sana has said that the FIR was lodged on February 17, 2017 and since then he has travelled abroad 15-16 times and returned to India each time. He has alleged that the LOC issued against him is "unfounded, illegal, malafide, arbitrary and violates his fundamental rights under the Constitution". He has also contended that according to a Ministry of Home Affairs office memorandum of 2010 and a high court judgement of the same year, an LOC can be issued only when a cognisable offence under the IPC or other penal laws has been alleged against an accused. It can also be issued if an accused was "deliberately evading arrest", not appearing before the trial court despite issuance of non-bailable warrants or if there is a likelihood that he may evade trial by leaving the country, the petition has said. The FIR, in connection with which Sana was being questioned, was lodged in 2017 by the CBI after the ED and Income Tax department's probe into money laundering and black money allegations against Qureshi allegedly revealed the involvement of senior public servants. The ED had written a letter to the CBI in this regard and it had in 2017 lodged an FIR against the meat exporter as well as its former director A P Singh and several others.